A Hugoton man was injured Tuesday as a result of a two-vehicle accident on U.S. Highway 50 about a mile west of Garden City near VFW Road. According to the Kansas Highway Patrol, Ryan Dee Cooper, 36, of Garden City was driving westbound in a 2001 Hyundai when he attempted to merge back into traffic from the shoulder of the road to turn south on VFW Road, at which point he pulled out in front of a westbound 2005 Nissan driven by Maria Lira-Rincon, 47, Deerfield. 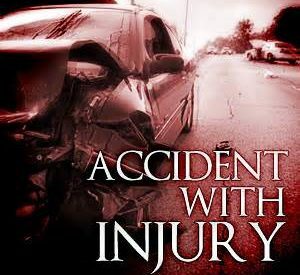 A passenger in the Nissan, Vincente Silva-Noyola, 31, Hugoton, suffered a possible injury and was taken to St. Catherine Hospital. Neither Lira-Rincon nor Cooper were hurt. All three were wearing seat belts.